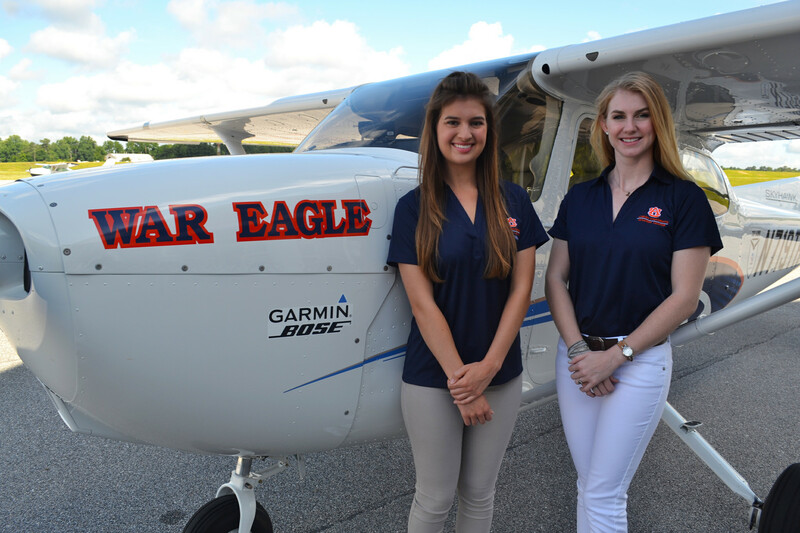 Auburn Women are taking to the skies once again to compete in the 2017 Air Race Classic, an all-female aeronautical race crisscrossing the country. What started as the Women’s Air Derby in 1929 and later All Women’s Transcontinental Air Race (AWTAR), the Air Race Classic is a long running tradition of transcontinental speed competition for women pilots. This year, the Air Race Classic is expected over 50 teams to compete. 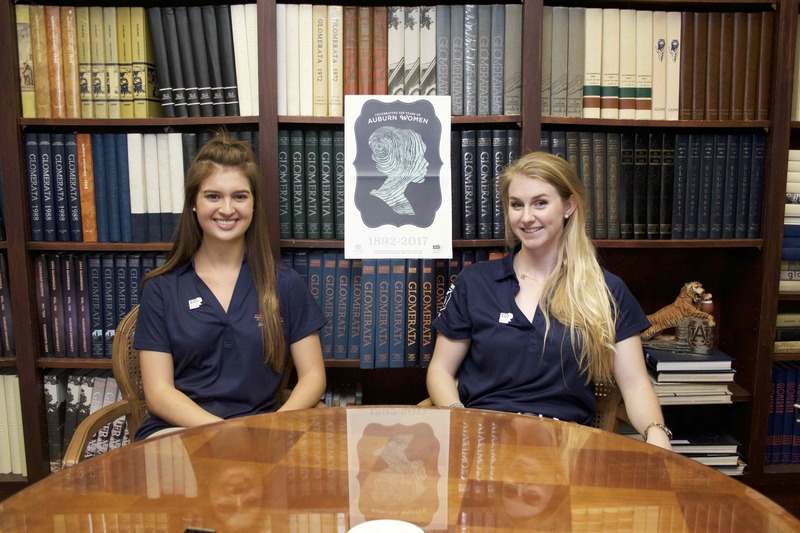 Representing Auburn is Team War Eagle Women, made up of teammates and co-pilots Ashley Tucker ’16 and Kendall Higdon. 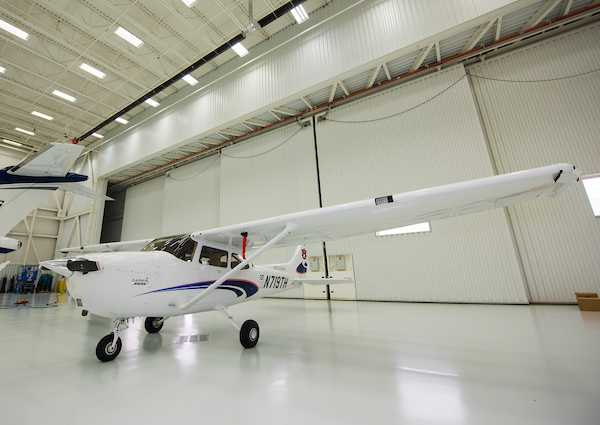 The two have the luxury of competing in a brand-new Cessna Skyhawk 127 on loan from Textron Aviation’s Top Hawk collegiate program. The plane is just large enough to fit two seats side-by-side. The two will be able to stretch and adjust their seats during autopilot, but most of the flight will take pure will and determination. “This is going to be a fun week, don’t get us wrong, it’s just going to be very condensed, high-intensity in terms of what we’re all having to do,” Tucker said. The pilots depart Friday, June 16 from the Auburn Airport for the race’s official launching point in Frederick, Md. From there, the two-woman teams will complete a grueling, three-day race across over 2,600 miles, flying from Frederick to Coshocton, Ohio, then Indianapolis, Ind. and Decorah, Iowa, followed by checkpoints in Bemidji, Minn., Spencer, Iowa, Abilene, Kan., Ardmore, Okla., and Plainview, Texas before finishing in Santa Fe, N.M.
Rather than competing for position, competitors are racing against their own best time based on a handicap assigned by ARC judges weeks earlier. Instead of the first team to reach Santa Fe, the winner will be determined by who passes each checkpoint with the best time. Though some of the checkpoints are ‘flyby only,’ meaning teams need only radio the control tower before continuing on to the next location, pilots are only allowed to fly from sunrise to sunset and must land at a pre-approved airport. The race will have provisions in certain airports waiting for them, but Tucker and Higdon are making hotel reservations in advance. In a field of 55 teams, there are several non-competitors in it for the experience. But not Auburn. “We’re competitive. We want to win. 100 percent,” Tucker and Higdon said together. Tucker and Higdon both have backgrounds in aviation. Tucker’s father was an air pilot and Higdon’s mother was a Delta flight attendant. 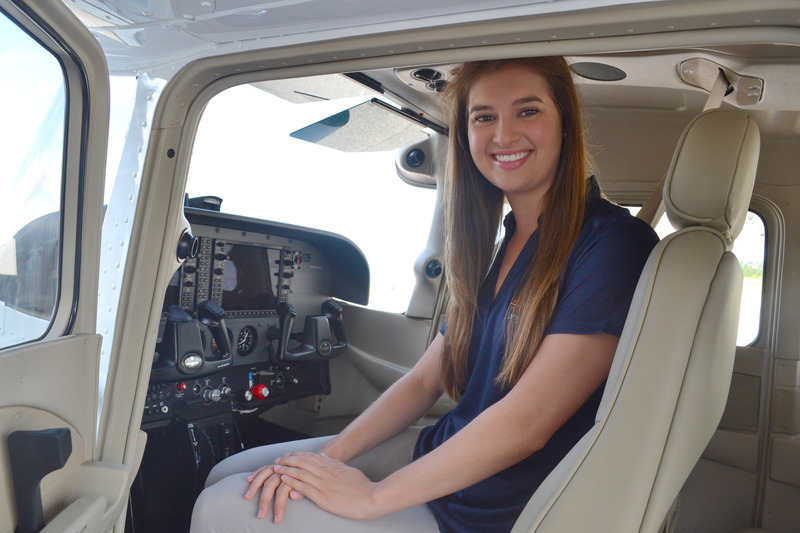 Tucker started flying planes in 2013 after changing her major from Media Studies and Higdon her senior year in high school and is continuing her education after graduating in 2016. Auburn’s program is the oldest continually-running in the country, with a sterling reputation throughout the flight industry, but when a lack of funding in 2013 almost shuttered the Auburn Aviation program, the future for the state’s only collegiate-level aviation school the future looked bleak. An outpouring of alumni support in 2014 helped turn things around and has helped set the school’s sights higher than ever. Tucker recalls when she first started there were only four or five girls in the program; now there’s almost 20. 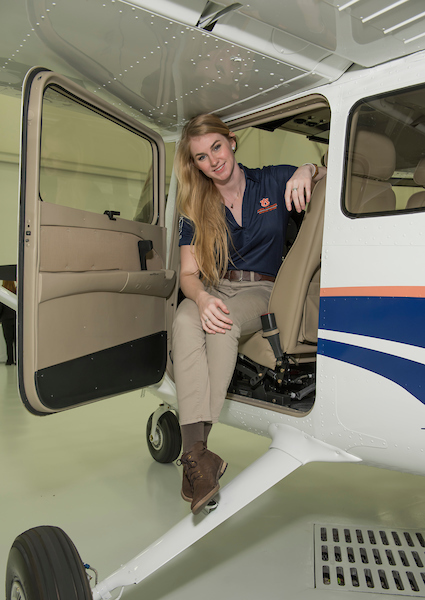 “To me, that shows growth in the program overall and that’s another great reason why we’re doing this air race — it’s great for getting other girls and people involved, but I think it’s for all the Auburn men and women in aviation, this is promoting our aviation and flight school,” Tucker said. To follow the War Eagle Women, check out the “follow the race” map provided on the website. The War Eagle Women take off for Frederick, MD on June 16 around 9am.